What a chancy wedding day! 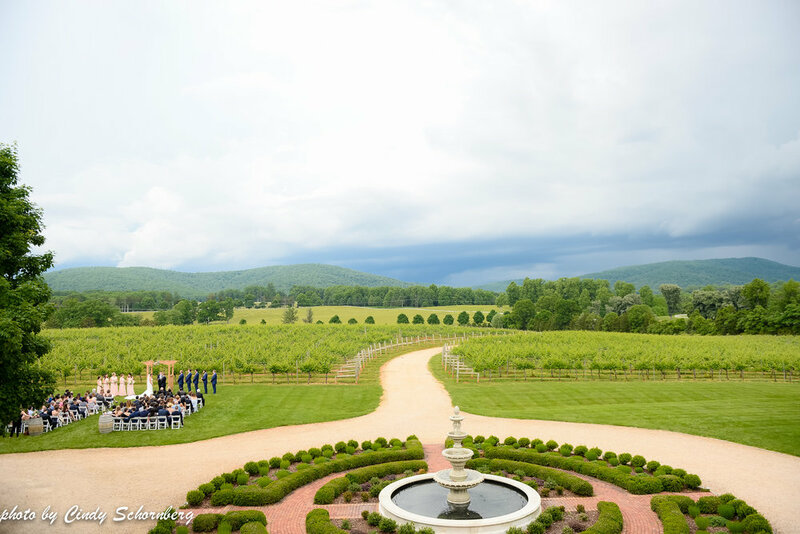 We all thought that Keswick Vineyards wouldn’t be so lucky on May 27th, 2018 with it looking like rain was heading our way. Our mountains, typically, cause the rain clouds to scatter, but we were all nervous over this one! 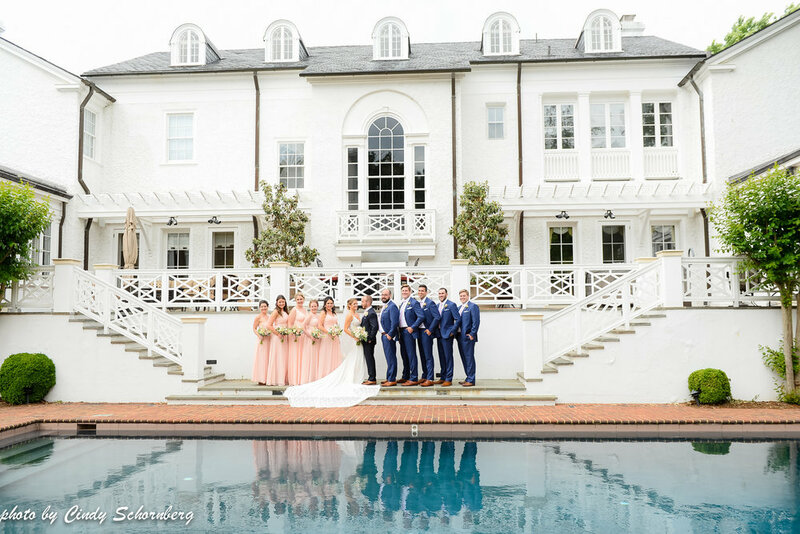 Sarah told us that she really wanted her ceremony to be outside, and being her Day of Coordinator, we wanted to do whatever was in our power to make that happen! We were happy to say that our “magical mountains” ended up working out for us, yet again! 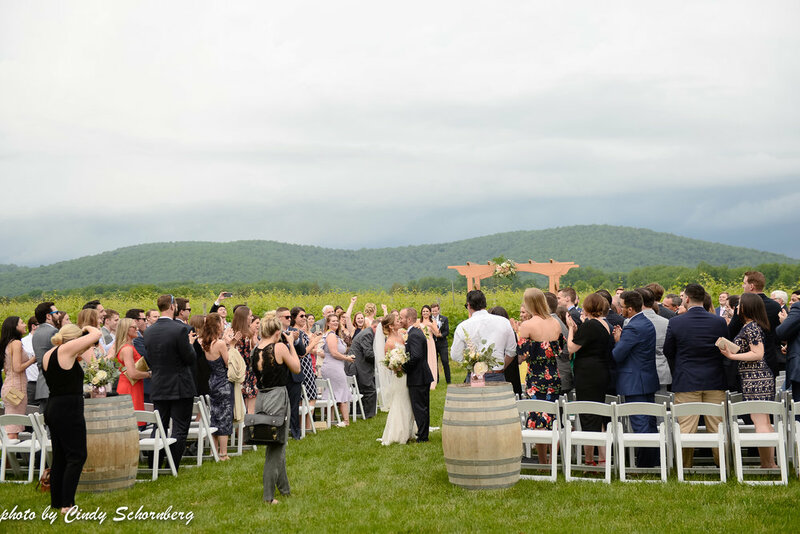 About twenty minutes prior to the ceremony, we made the call that we were going to do the ceremony outside in our vineyard location, which Sarah and Pete were so elated to hear! 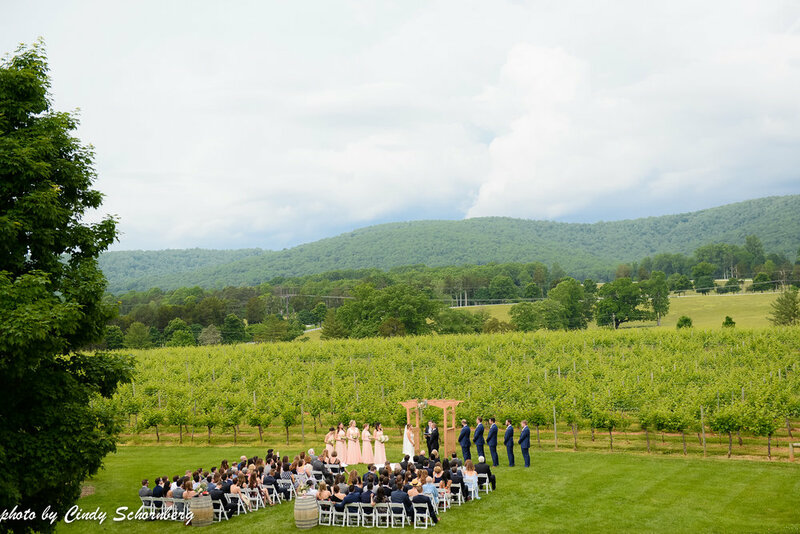 They were able to have our Blue Ridge Mountains and vineyards as their background, while they also had our wooden arbor decorated with a beautiful floral arrangement on the top corner. 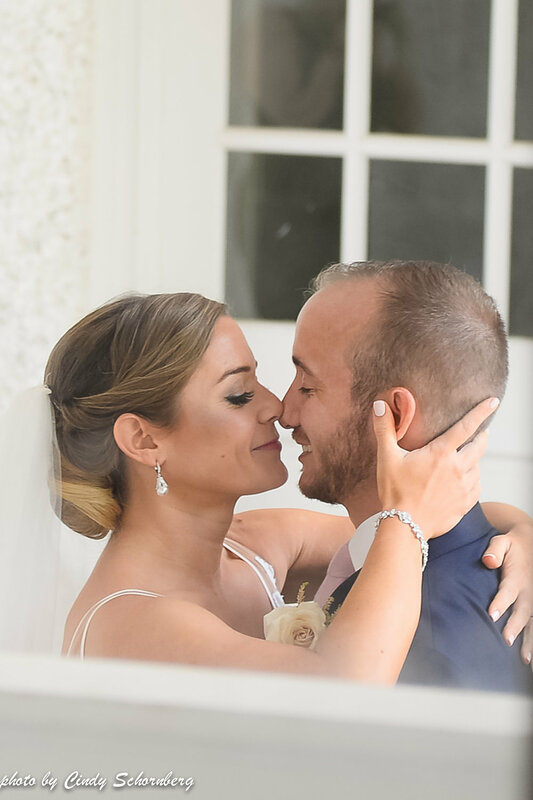 The ceremony was simple, but so beautiful. With Sarah and Pete being as outgoing as they are, they wanted to spend some time during cocktail hour to mingle with their guests. 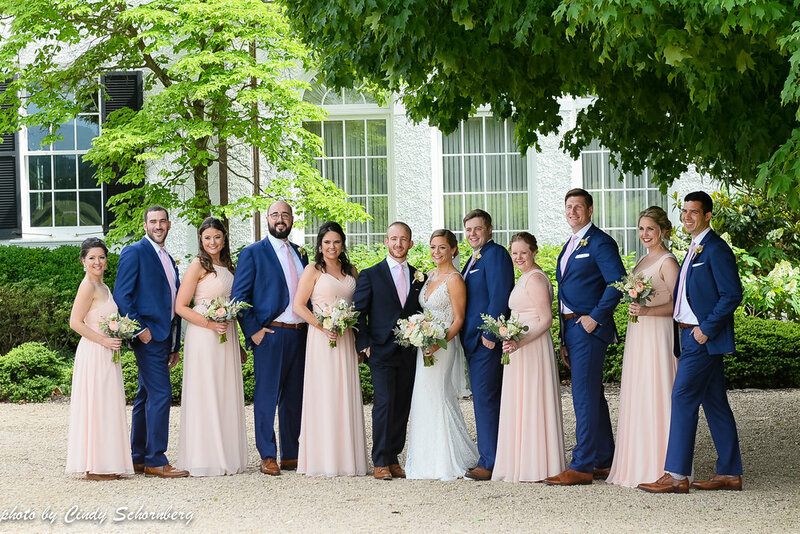 By doing their first look earlier, where they see each other prior to the ceremony and can take pictures when Mother Nature gives them a little break, they were able to partake in the fun of their wedding. Most couples aren’t able to do this, so it was a special treat, especially, for Sarah and Pete’s wedding day. 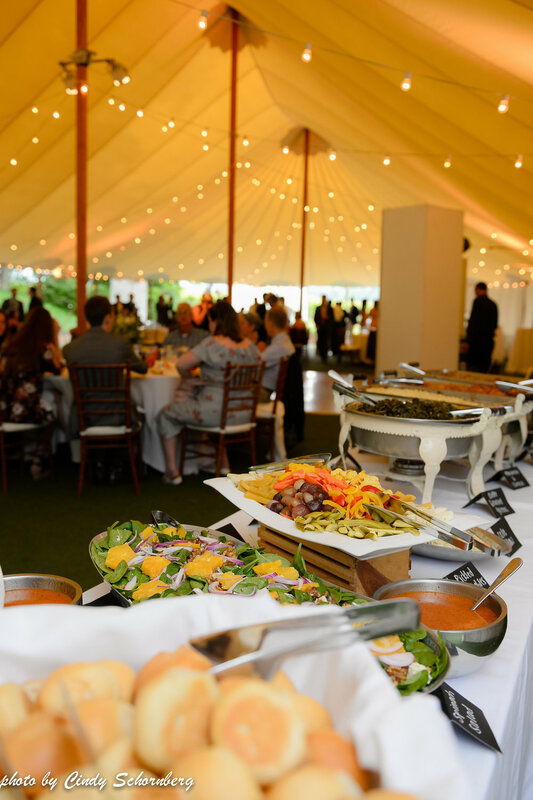 After cocktail hour, guests were seated and were able to enjoy the delicious Southern-style food that Southern Inn put together for all of the guests to enjoy. 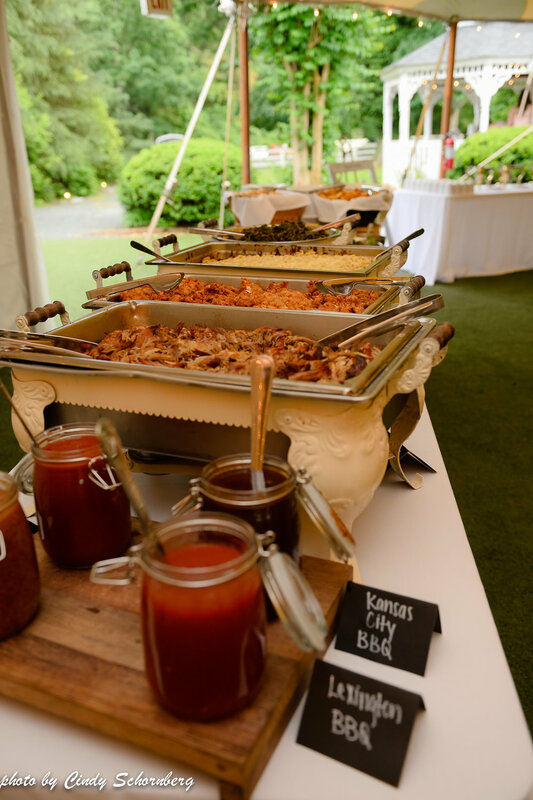 Pulled pork, coleslaw, biscuits, chicken, and barbeque sauce—what more could you want? 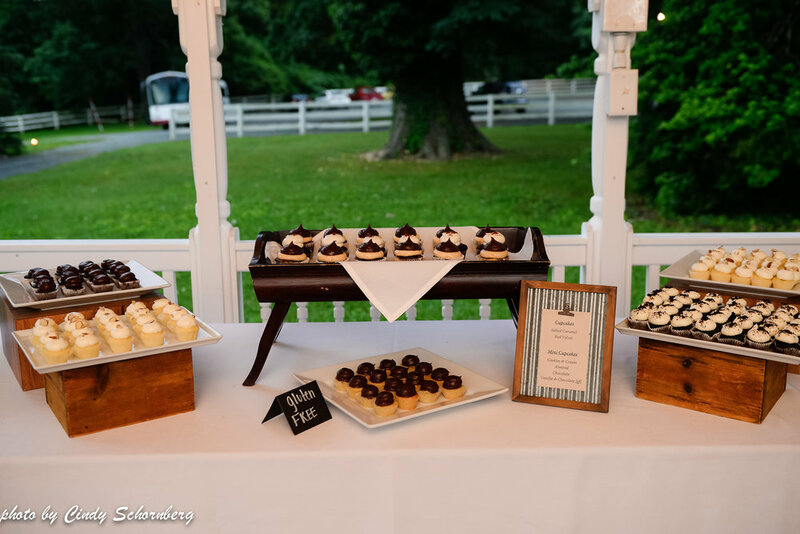 After a night full of dancing to throw-back songs and sipping on some of our award-winning wine, a late-night snack bar opened up for guests to enjoy, while cupcakes also awaited them if they wanted something a little less savory. 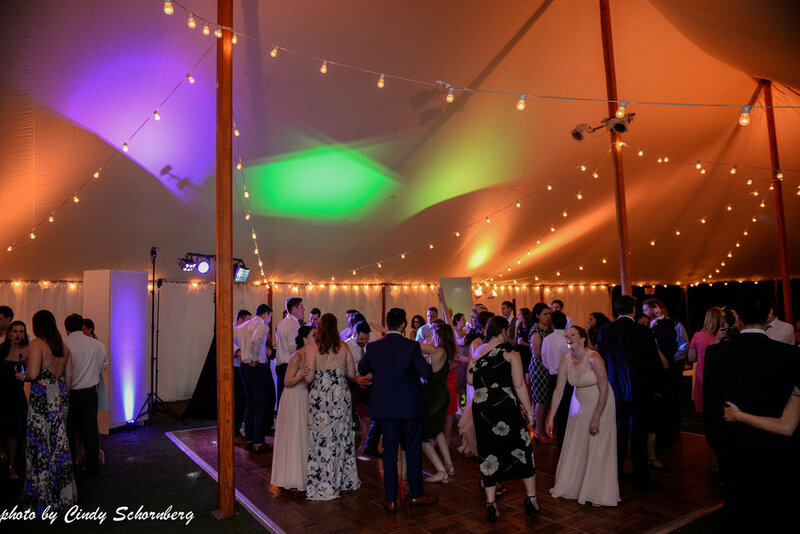 It was a fun night for everyone and all guests seemed extremely content by the time that the show was over. 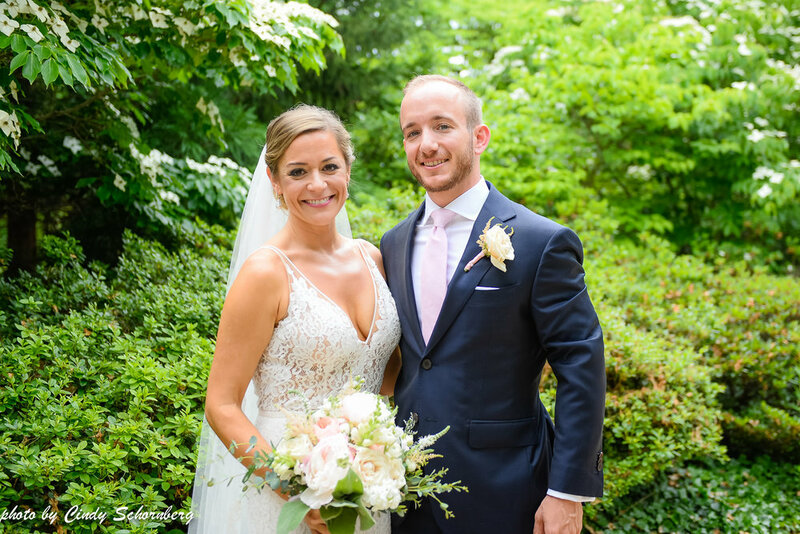 Congrats to Sarah and Pete! 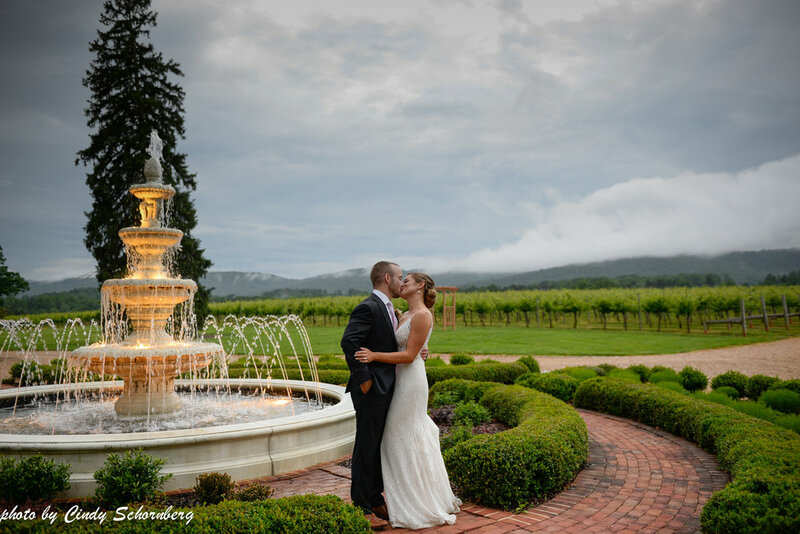 Event Planner: Keswick Vineyards, Caterer: Southern Inn Catering, Pasty Chef: Sweethaus, Photographers: Kim Stockwell & Alex, DJ: Frank Smith with Prime Time Sound & DJ Services, Hair & Makeup: Lou Stevens, Florist: Faded Poppy, Officiant: Jon Cardinal, Transportation: Easy Riders Bus Company, Lighting: Skyline Tent Company.